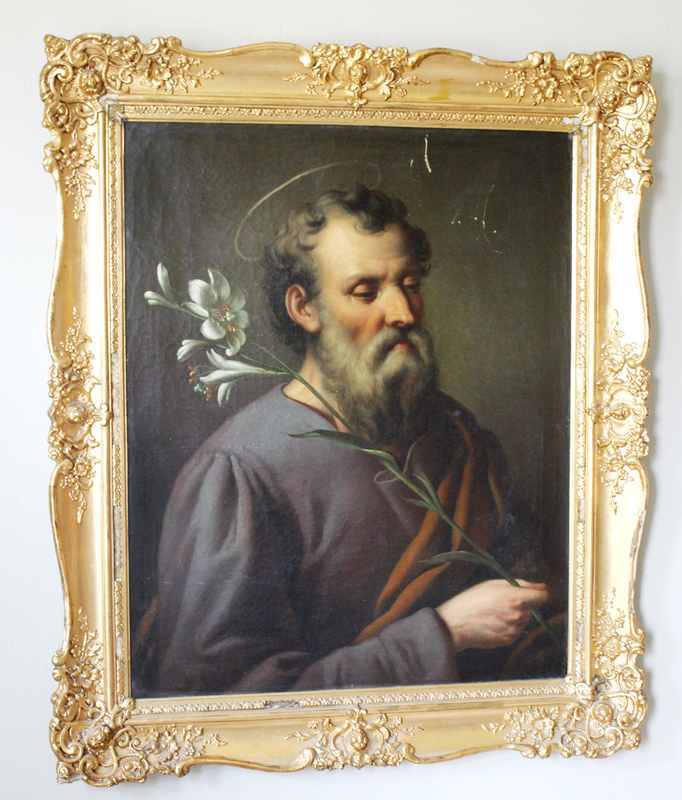 Antique Rare Late 18th Century Saint Joseph Painting A gorgeous painting done in the self portrait baroque style. 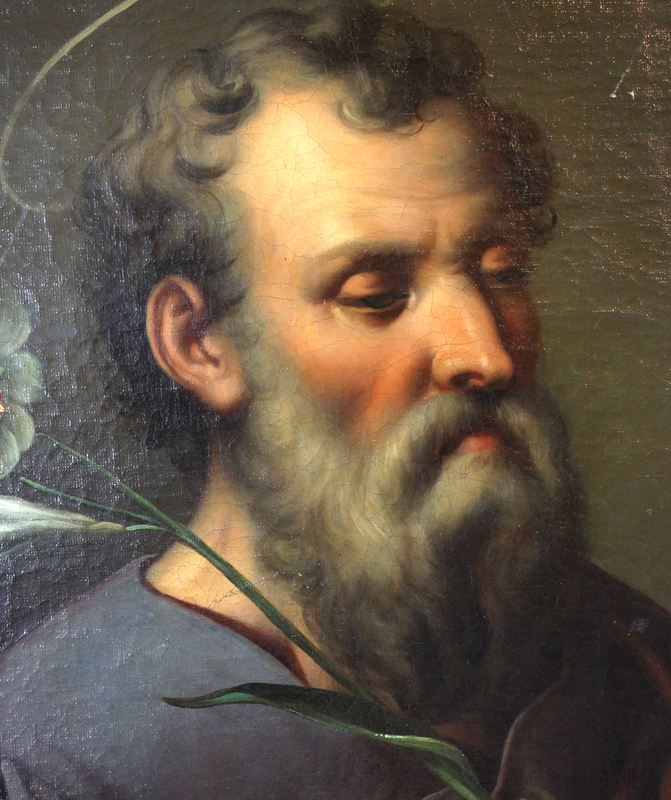 It does have the few scratches as you can see to the painting above and to the right of Saint Josephs eye. You could have these repaired or left as it. 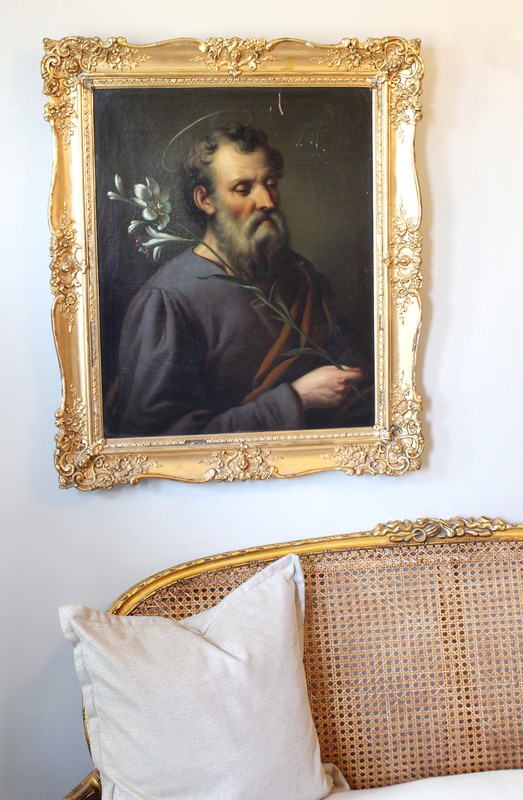 The frame is the original water gilt frame and suits this painting beautifully.